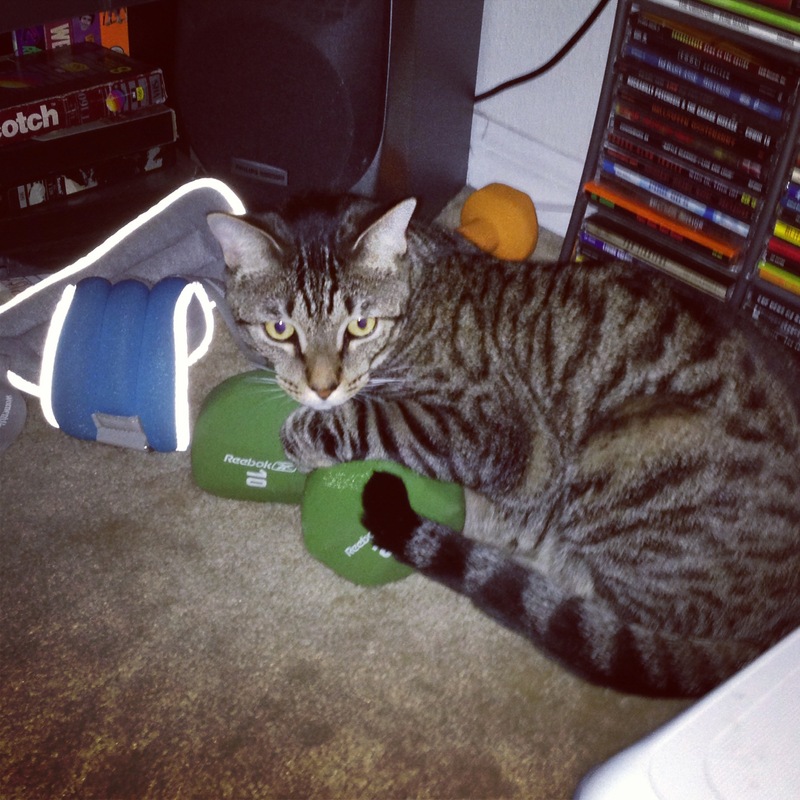 Cat workouts. | MEOW hear this! And because I feel like putting very little effort into a post, here’s a super cute picture of Taco. Taco’s workin’ on his fitness. What does baseball have to do with cats?